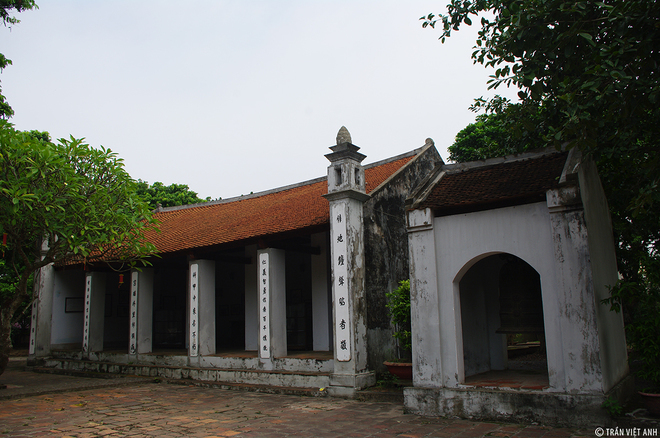 Located in the village of Xich Dang, Lam Son ward, Hung Yen city, the Temple of Literature Xich Dang is the most important relics at Pho Hien. 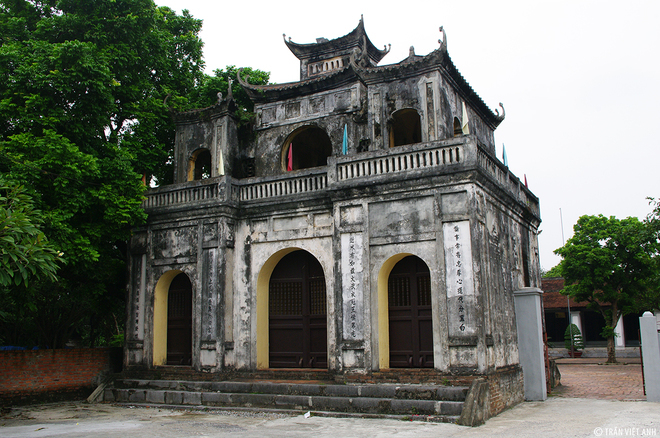 Constructed in the late 17th century (around 1701) in Le dynasty and underwent some major restoration in 1839 (the 20th year of Minh Mang), the ancient architecture of Xich Dang Temple of Literature remains intact. 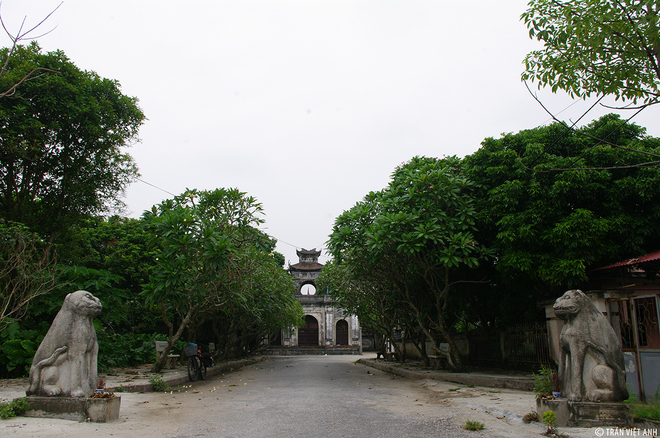 Temple of Literature area is 6,000 m2, including gate structures, bell tower, two hall ways, the main hall and the worship tower. The Temple was constructed following the “two floors eight roofs” architecture style. 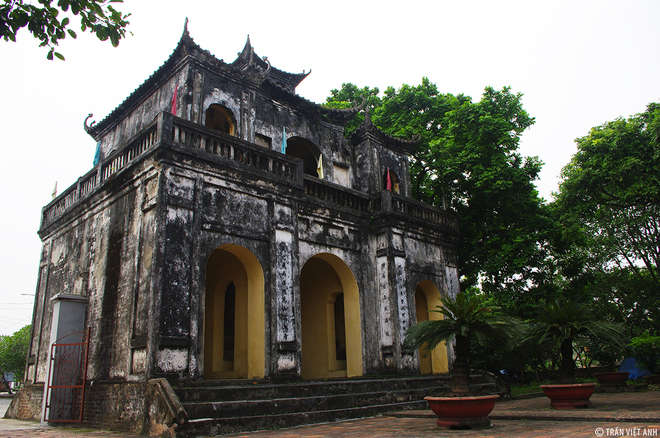 This is a unique and rare building remains intact since built and also still served as a symbol of Hung Yen province. On the two sides of the yard, there are the bell tower and the worship sector. 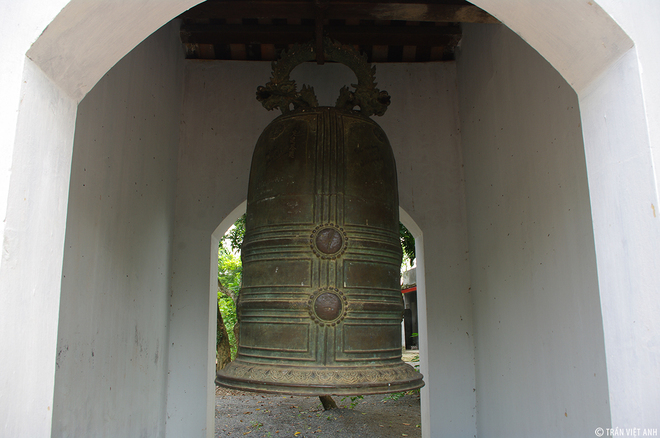 In particular, the bell tower is hanging a bronze bell casted in 1804, while in the worship sector, there is a stone plate built in 1803. The two hall ways connect the main hall, which was constructed following the “five templates” architecture, where the officials placed their hats and prepared the clothes for the Confucius ceremony. Now, this area served as exhibition about education and tourism. Through the gate will be the court and the Temple of Literature courtyard. This courtyard was once the site of the district exams. 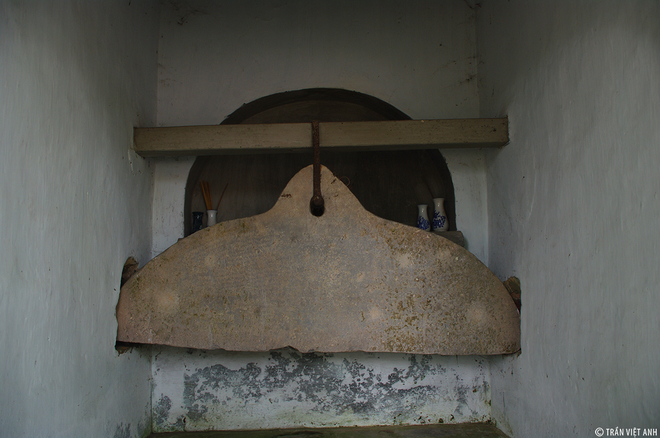 The old rock plate was casted in 1803. 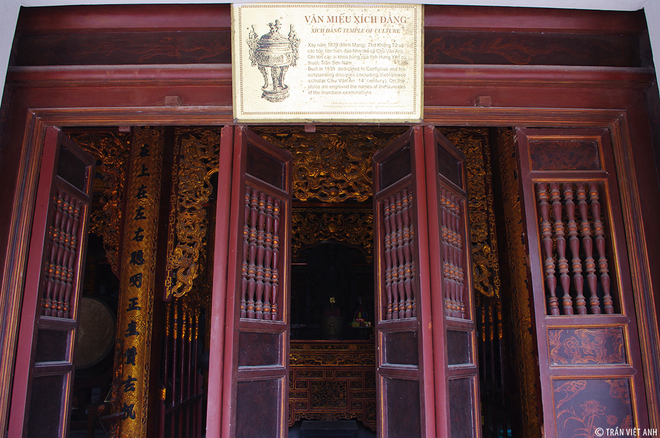 According to the inscription on the bell, from 1804, Hung Yen was already had a literature temple, but it was not until the 20th year of Minh Mang (1839), Dang Xich Temple of Literature was rebuilt with a in a larger, more majestic scale. The main buildings were built in the “Three letters” architectural style, including the tribute house, the central hall and the harem. 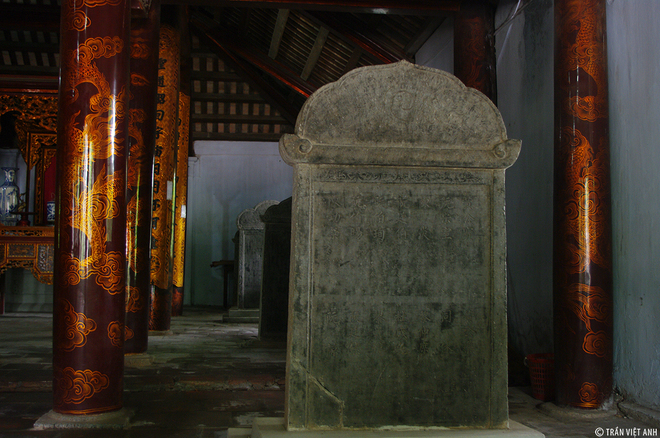 Inside the main building is a place to worship Confucius, educator Chu Van An, the Sages of Confucianism and 9 headstones of 9 Doctors. 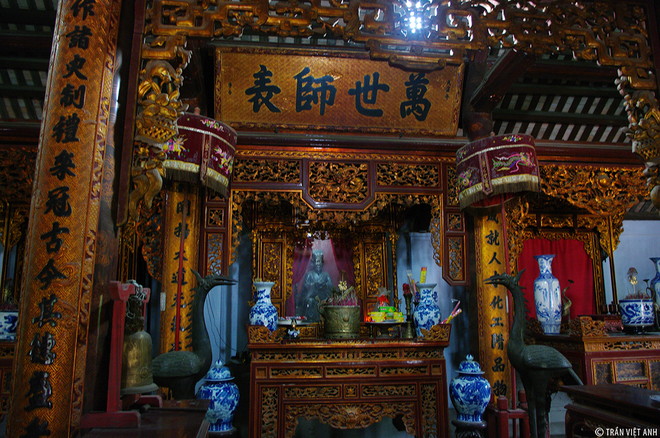 Altar of Confucius – the founder of Confucianism and his good students Mencius, Zengzi, Wu Zixu. 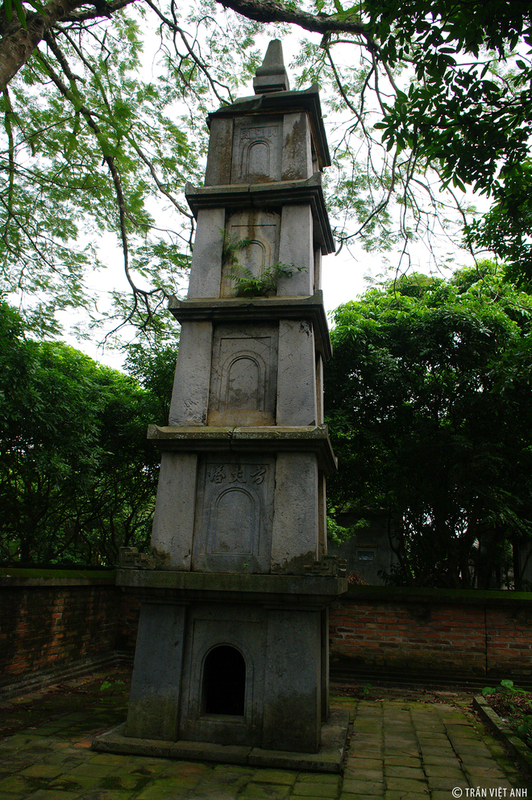 The headstones along the sides of the main building are the most valuable artifacts of Xich Dang Temple of Literature. More than 200 top scholars were honored on the stones. 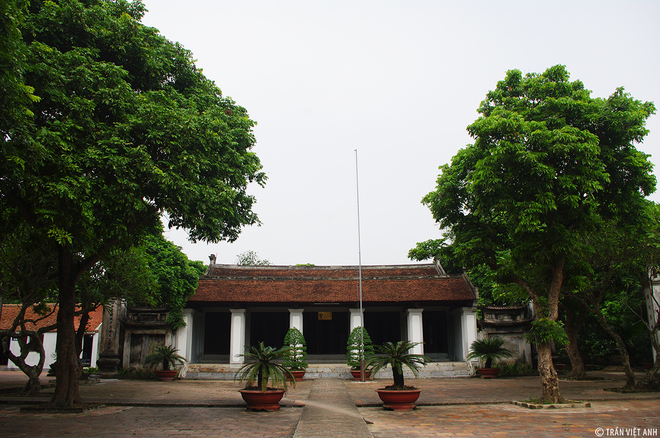 The persons had the highest degree of the scholars were Tong Tran (now from An Cau, Phu Cu district) in Tran dynasty and Nguyen Ki (Dong An district) in Mac dynasty. There were many served in the king’s court such as Le Nhu Ho, a Duke in Mac dynasty. Besides worshiping Confucius, the temple also worships Chu Van An – a teacher, and a great educator in Tran dynasty, who was honored by history as the “ancestor of Confucianism”. 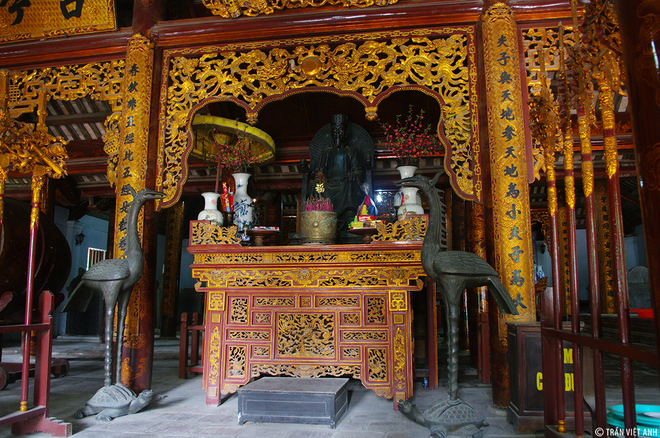 The two bronze statues, built in 2003, copied the origins in The National Temple of Literature Quoc Tu Giam. The tower of education in the temple’s yard. The ancient temple had two important festivals back in the old days. The important dates were February 10 and August 10. On these dates, the heads of schools and scholars have to come and pay the respect to the founders, and also set an example for the younger generations. They also prayed for the cause of education. Today, every year, on the 4-5th day of Tet, the Temple of Literature will hold a festival with activities such as singing, calligraphy.